Okay so, a long time ago my mom got a review copy of this book online called Sweetapolia Bakebook. She got the book for me because she was going to write a review about it. 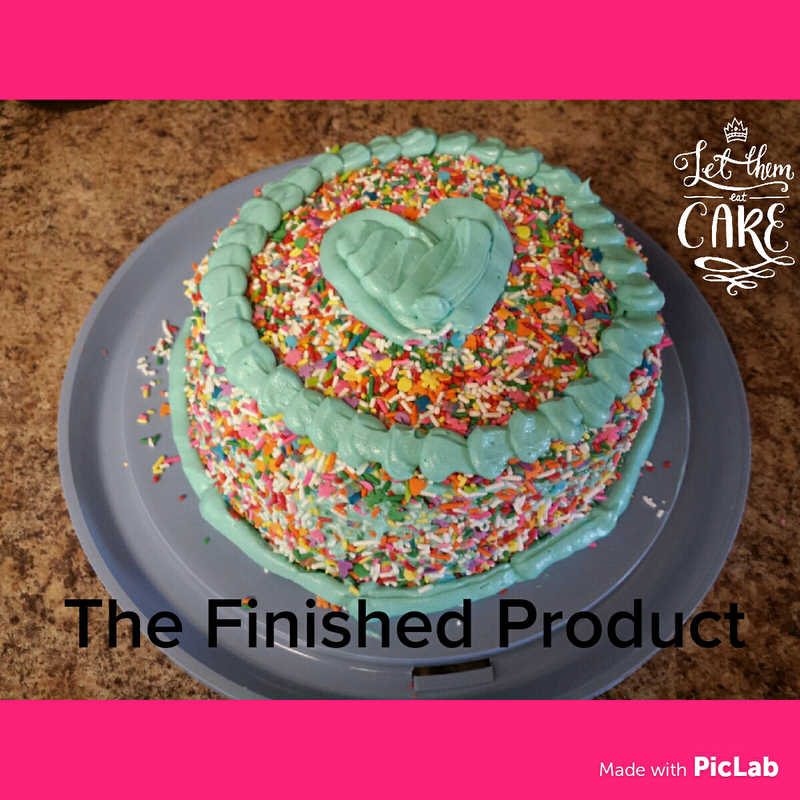 Well months later we hadn’t done the review yet, so when I had to bake a cake for a party mom thought, “Why not just do one of the recipes in the book?” So that is how I ended up making this cake! Okay I admit I cheated on this one… I used a box mix, but only because we didn’t have enough cake flour and we had one of the boxes laying around. But you will need some cake batter of your choice, food dye, in the colors Pink, Orange, Blue, Turquoise, Purple, and Green, some frosting of your choice, and assorted sprinkles. Now I will say since I am a newer baker I did not have these colors of food dye laying around, so the trip to get supplies was a bit expensive. 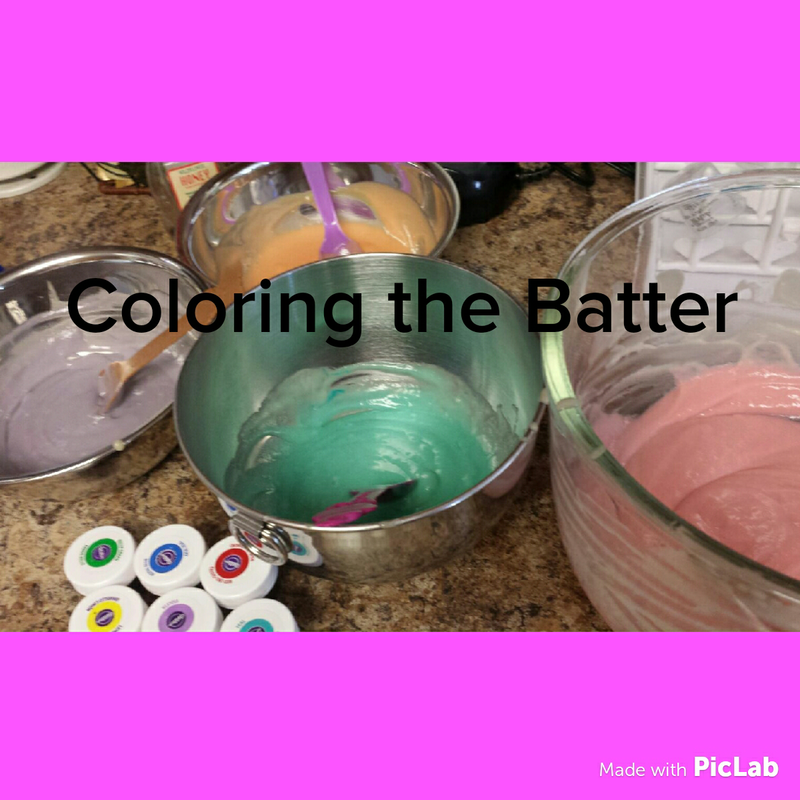 Now you need to divide your batter into 6 bowls and dye them the colors listed above. 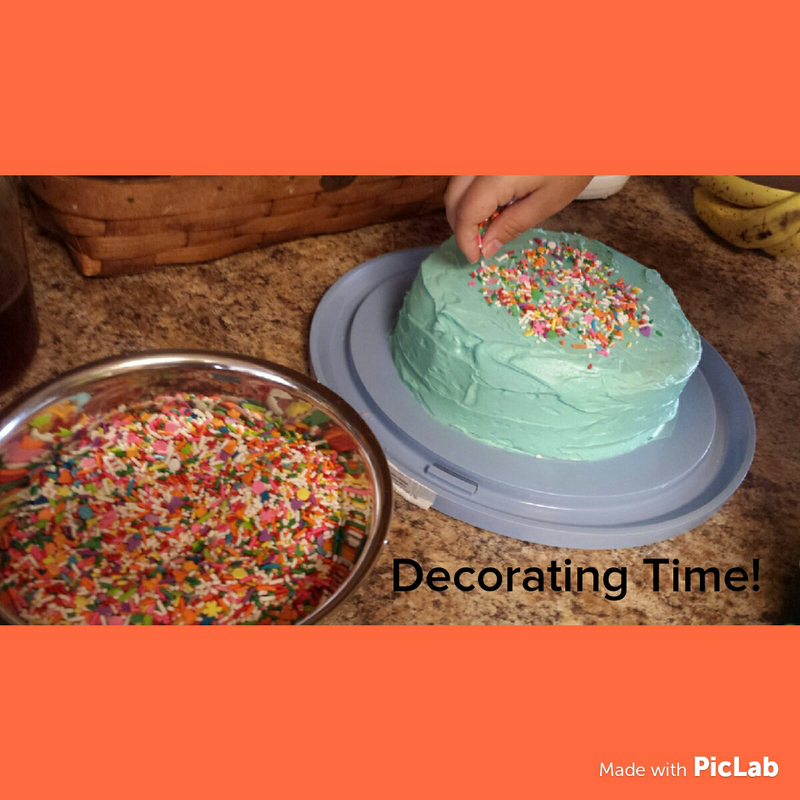 Then you need to bake each colored cake for about 10-12 minutes because the layers of cake should be a bit thin. Let the cakes cool for about 10 minutes in the pans and then change over to a wire rack until completely cooled. Once your cakes are all baked and cooled, you want to frost them. In the book she used turquoise frosting, so that is what I did, but I did not do as deep of a color turquoise, but don’t dye your frosting yet! 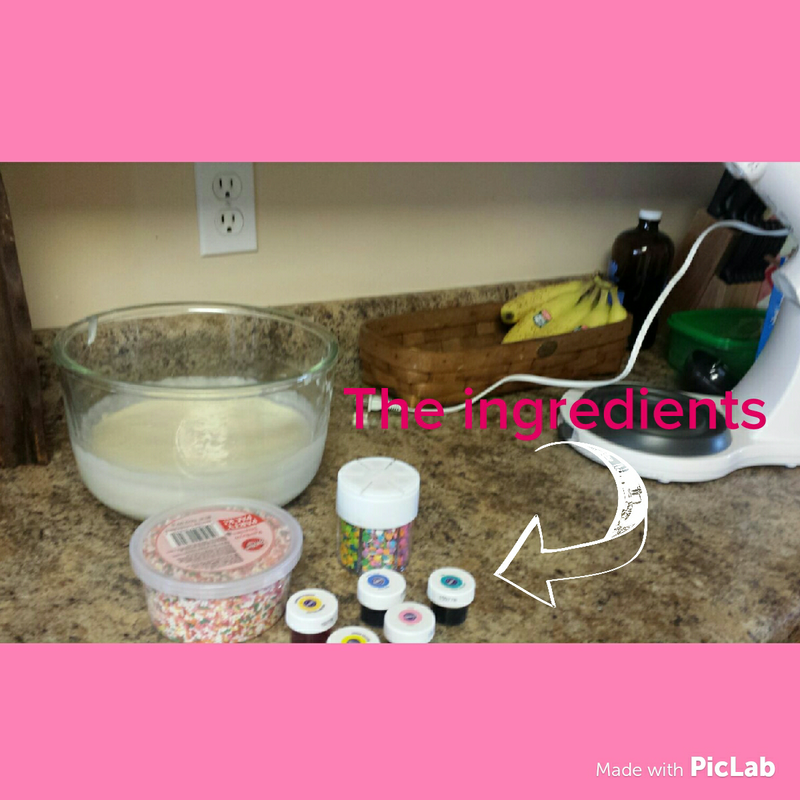 I am using buttercream, so the frosting’s original color is white. Take the purple layer and put on the uncolored buttercream. Do the same next in this order on the blue, green, pink, orange, and turquoise layers. After that dye your frosting turquoise and frost the whole cake with that frosting. Put this in the fridge for about 15 minutes just so the frosting will firm up a little bit. Now take all your sprinkles and mix them together. 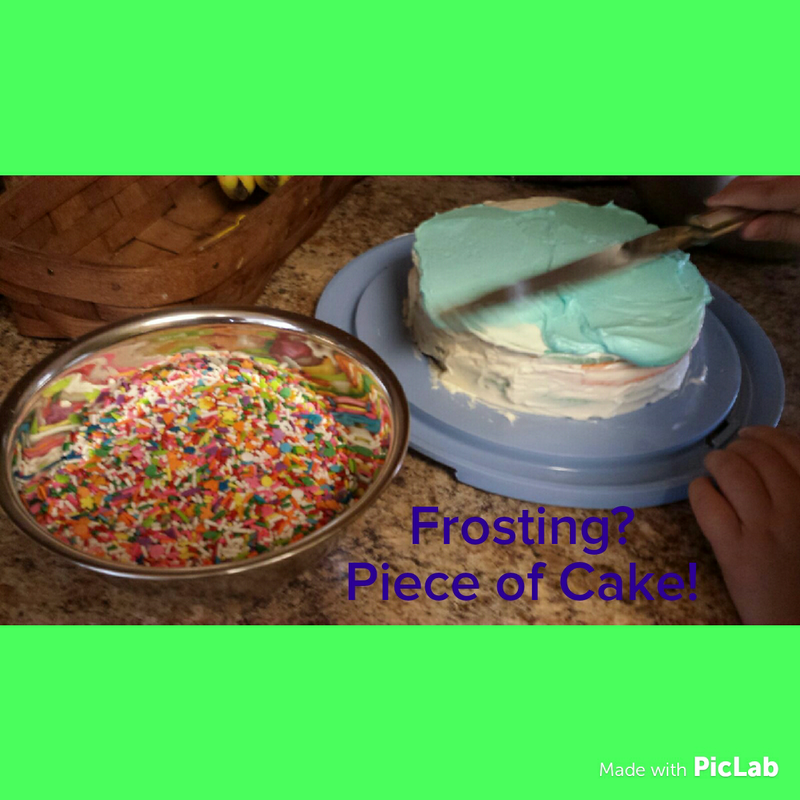 Once they are all mixed cover your cake with the sprinkles. Voila! Now you are done with your cake. I just add the heart because I had some leftover frosting.